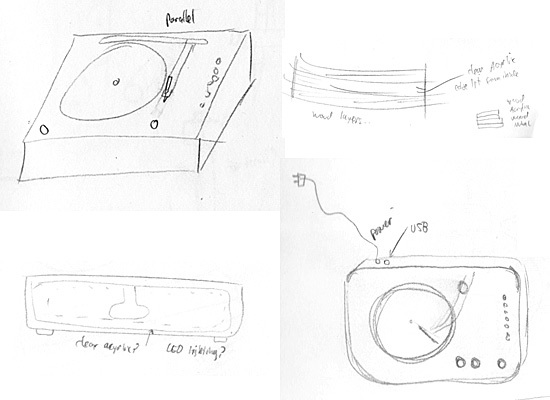 As previously mentioned, I’m working on a new drawing machine, and it’s based on a turntable. 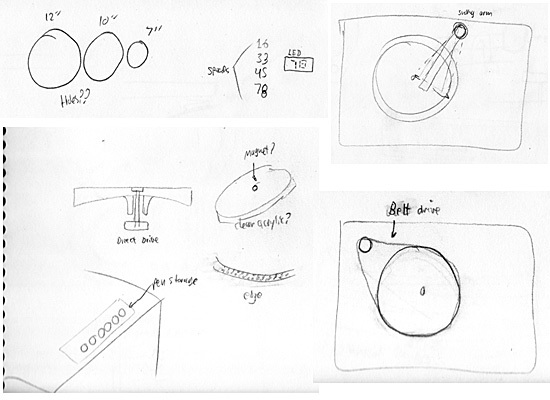 I’ve included some of the sketches here, as I continue to explore a few ideas. 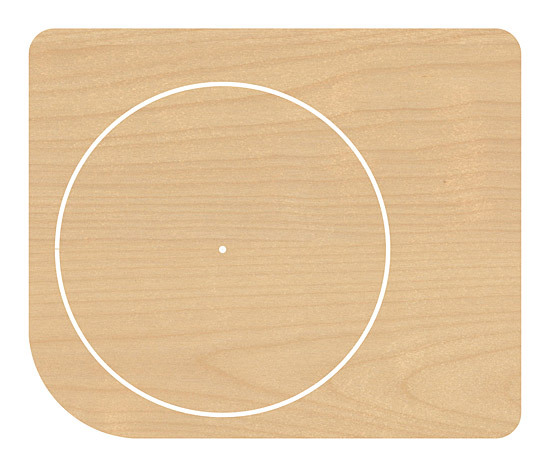 There’s a number of aesthetic choices to make in the design of this thing, including the material. Right now I’m focusing on wood for the majority of the build, but may also include some acrylic (which may allow for some LED lighting) and metal. I’d consider Alupanel, as that stuff is pretty nice, but it’s also a bit pricey, especially since I’d need a piece that is 19″ x 15″. 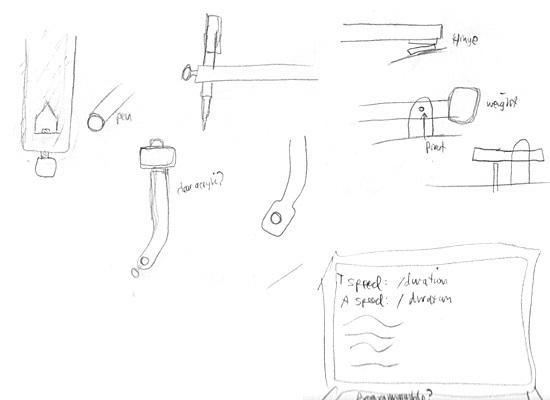 Hopefully I can start working on the arm mechanism by next week, as there’s a few tricky bits involved there. I’m not sure if I will use limit switches, a servo, or make the pen placement a manual process. Hopefully a prototype will come together soon and answer some of those questions. Posted on Sunday, April 5th, 2015 at 7:22 pm. Subscribe to the comments feed. Both comments and pings are currently closed. Post on your own blog.